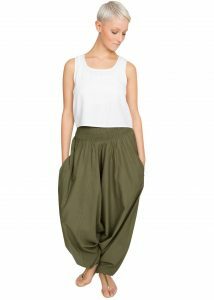 Convertible harem trousers or bandeau jumpsuit made from breathable rayon fabric. Perfect for weekends and holidays as can easily be dressed up or down. 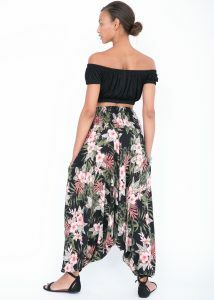 Also great for dance, beach, festivals and general casual chic. 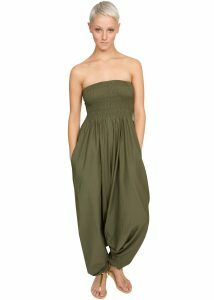 Also popular as maternity wear.